Welcome to Pool Route Pros, Inc.
With 35+ years of experience in the pool industry, Pool Route Pros Inc. is a family-owned and operated company specializing in pool route sales and consulting. Whether you are looking to sell your existing route, trim off some accounts, add to your current route, get into the pool industry, or just want general information about us or the pool industry -- YOU have come to the right place. Located in the heart of the pool industry, Orange County, California, we offer assistance nationwide to any and all of your pool-related needs. 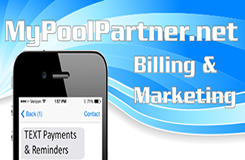 Take a look at our website and see what we have to offer you as a "licensed" pool route broker that gives you the ability to choose. Now come on in and explore, and see what it's like to "Experience the Difference by Choosing." Route Listings To view all of our availible route listings,Click here . Don't see what you want join the Route Hunt. Join the Hunt Always looking to add good accounts in your area? Join the Route Hunt and keep up to date on new listings in your service area.